The results are in. McDonald’s is winning new customers with all-day breakfast, according to a study by market-researcher The NPD Group. One-third of guests who ordered a breakfast item outside of the traditional morning daypart had not visited a McDonald’s at all prior to the October rollout of all-day service, the report finds. 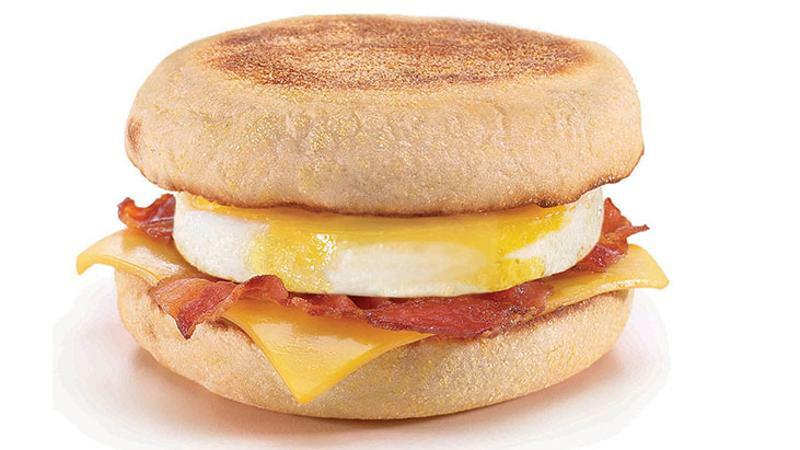 Egg McMuffins and other McDonald’s a.m. items also proved a strong lure at lunch. Almost two-thirds of the lunch patrons (61 percent) who bought a breakfast item also purchased at least one item from the regular menu, raising the check above the norm, NPD found. It’s not just McDonald’s—or QSRs, for that matter—finding that post-morning breakfast translates to sales. Mark Hood, CFO and chief administrative officer at Bob Evans, said in a conference call in December that the percentage of guest checks across all dayparts with at least one breakfast entree increased in the previous quarter. “With our longstanding brand equity in breakfast, we believe that we benefit from consumers thinking about breakfast at all dayparts,” he said. That may be why the chain, under the helm of new President and CEO Saed Mohseni, is focused on reinvigorating its breakfast menu with upgraded ingredients and service. Despite this increased attention, other competitors are hanging back. Lenny Comma, chairman and CEO of Jack in the Box, admitted in an earnings call in November that a big-time player like McDonald’s doing breakfast all day will impact everyone in the industry. But his franchisees aren’t showing much concern, he said, perhaps because the chain has been serving breakfast throughout the day for decades. Burger King also isn’t jumping in full force with a national me-too effort; however, it did permit a franchisee in Garwood, N.J., to start serving a few breakfast items all day. Why now, though? “Egg protein has trended for years, and consumers have wanted the options for breakfast all day,” says Darren Tristano, president of Technomic. Sales over the last year have shown that to be true. In the market researcher’s 2015 Top 500 Chain Restaurant Report, family-style chains growing the fastest are all-day breakfast spots, including The Egg & I, First Watch and Another Broken Egg Cafe.